Access Bank Plc has reechoed its resolve to take next generation banking in Africa with the tenacity it deserves. The new direction which analysts say may not be unconnected with the bank’s recently consummated partnership with US based digital giant, Microsoft is set to positively disrupt banking experience in Africa. A statement issued by the bank said this direction would accentuate its current drive to enhance the perception of Africa by drawing the attention of the global community to the continent’s culture, arts and lifestyle, as well as providing essential channels through which its people could engage profitably. Giving new emphasis on Access bank’s new operational direction, the Group Managing Director/Chief Executive Officer, Access Bank Plc, Herbert Wigwe, averred that the focus was a continuation of an existing passion to ensure that the world could see and appreciate the true representation of Africa. According to him, “Over time, we have remained committed to raising the standard of banking practice in Africa without compromising the importance of our customers. Already, the bank made it clear that it was leveraging technology, especially with its track record of innovative products such as the Access Africa; its cross-border transfer service, a fast way to send and receive money across Africa, PayDay Loan, and the recently launched Access WhatsApp banking service. While stressing that all of these products provide customers with seamless banking services that are fast, affordable, and convenient, Access Bank said its commitment to positioning and projecting the African continent as open for business with a safe and secure banking environment for customers in Africa and across the world is superb. 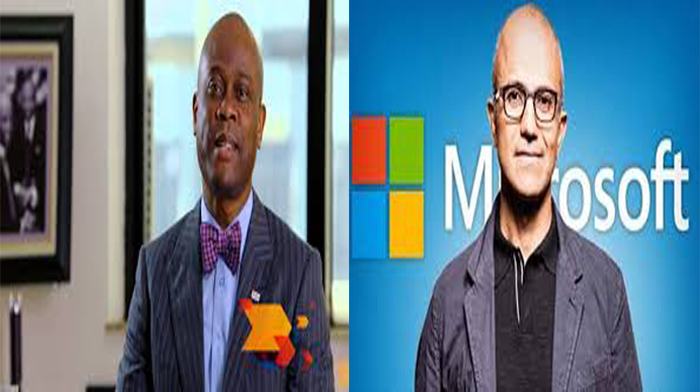 Business Hilights recalls that earlier in the month, Wigwe met in United States with the chief executive of Microsoft where both digital kingpins reviewed several operational and partnership understandings in view of taking digital banking platforms to the next level in Africa.